First published in 1979, this groundbreaking book established Edward Hays as a pioneering spiritual writer and teacher, and has since sold over 150,000 copies. 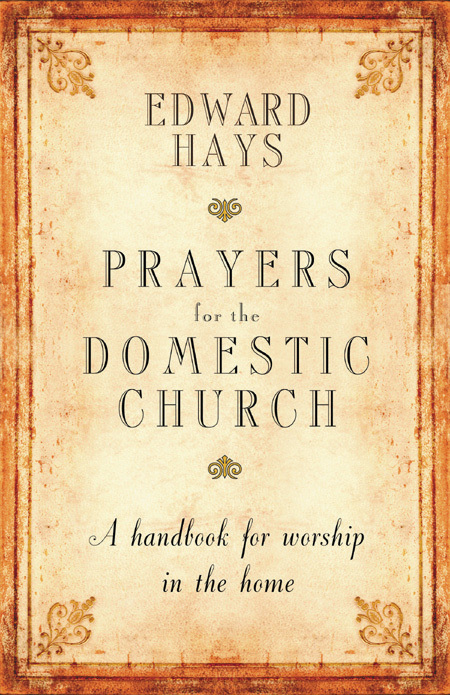 This new edition with a new preface by the author celebrates the "domestic church"—a family worshiping together at home—with a collection of prayers and blessings that remain as fresh and creative today as they were over twenty-five years ago. With blessings for birthdays, family members, the home, pets, and more, this book makes it easy and fun to gather in prayer as a family. This book is an ideal gift for weddings, baptisms, the birth of a child, special family milestones, and sacred moments. From him, I have learned that there is no line between the sacred and the secular on this earth. All life is holy, including the parts that bend and break. With his help, I now pray as easily at the planting of a garden or the burial of a pet as I do at the blessing of a marriage or the baptism of a child. Best of all, his gifts are infectious. Those moved by the beauty of his language and the reach of his imagination will soon find their own capacities enriched. "The writings of Ed Hays have had a definite impact on my spiritual journey. His creative, refreshing style is always joined with depth and wisdom. and to live in a meaningful, joy-filled manner." and an unbridled imagination that makes his vision of Christianity consistently fresh and invigorating. All of his books are graced with an appreciation for all the world's religions, popular culture, and humor." then Ed is such a man. Fortunately, he always takes God and his readers very seriously!" will be to find God in the ten thousand things of the here and now.